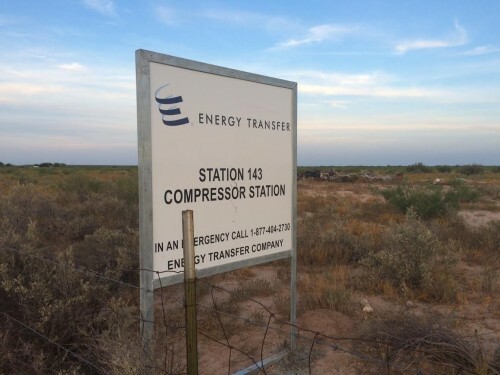 Energy Transfer, the company behind the planned Trans-Pecos Pipeline, has filed a summary response to hundreds of public comments sent to federal regulators during an environmental review of the pipeline’s border crossing section. The Federal Energy Regulatory Commission (FERC) is conducting the review, which will be used to decided whether the company receives a “presidential permit” needed to carry natural gas across the border to its final destination in Mexico. The 11-page document responds to – and for the most part fires back at – a variety of concerns raised in the more than 600 public comments sent to regulators as part of the review. 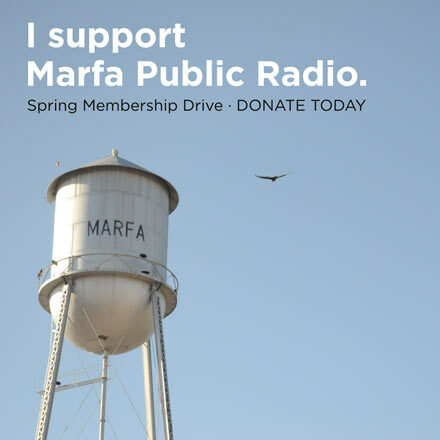 Many of the comments oppose the pipeline plan, though Marfa Public Radio has not independently reviewed each comment to account for the exact number filed in support of/in opposition to it. In the filing, Energy Transfer dismisses some of the key tenants of the local opposition movement. Among other concerns, opponents fear the pipeline would harm the region’s pristine environment and quality of life, and pose safety risks to residents. The company re-asserts its belief that the pipeline plan is a benefit to the Big Bend region and the state as a whole, saying it will encourage natural gas production in the Permian Basin, bring a cleaner-burning fuel source to Mexican power plants, and offer towns along the pipeline’s path access to new sources of natural gas. The prospect of Presidio having access to that gas for the first time in its history has been a key selling point of the plan, from both the company and city officials. Still, the gas operator in the Big Bend – West Texas Gas – has so far said it doesn’t have any plans to build out the extra infrastructure that would carry the gas from the Trans-Pecos Pipeline into the city. Later in the filing, the company references a contracted environmental report that found there would be “only a minimal positive affect to the local economy” of Presidio and Presidio County from the pipeline’s border crossing segment. While that analysis only applies to about 1,100 feet of the pipeline near the border, Brewster County Commissioner Luc Novovitch says he sees a discrepancy. “Our reference to financially benefiting local communities is related to the tax payments, the easement payments, etc.,” she says. Through the rest of the filing, the company seeks to dismiss a variety of concerns laid out in the comments to FERC. “The Project [meaning the border crossing] also will have no permanent effect to vegetation, fisheries, wildlife, migratory birds, listed species or their habitat.” the company writes, referencing its contracted environmental report. “The Project will not impact surface water, groundwater, or waterbodies,” it adds in another section. Per a FERC request, Energy Transfer still has to respond in more detail to individual concerns raised about sensitive wildlife and vegetation in the area were the pipeline would cross the border. The company says it will do that by October 6. This entry was posted in KRTS News and tagged big bend, Big Bend Conservation Alliance, Energy Transfer, Presidential Permit, Trans Pecos Pipeline. Bookmark the permalink.